Remember the Pay it Forward 2011 challenge that I wrote about here? Well it is finally time to show you guys what I made for each of my participants! 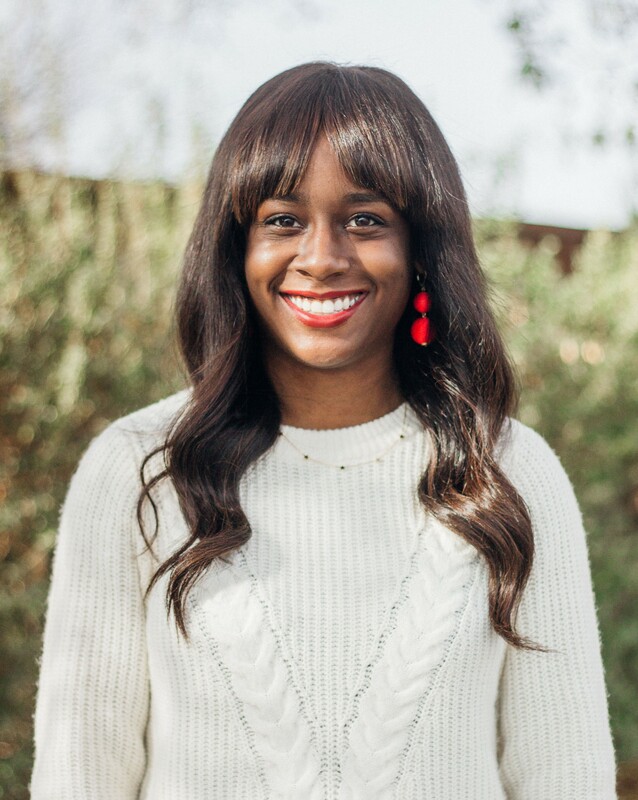 This bowtie scarf was made for Kel of Life as Kel Knows It. I asked each blogger to tell me their favorite color and she chose purple. 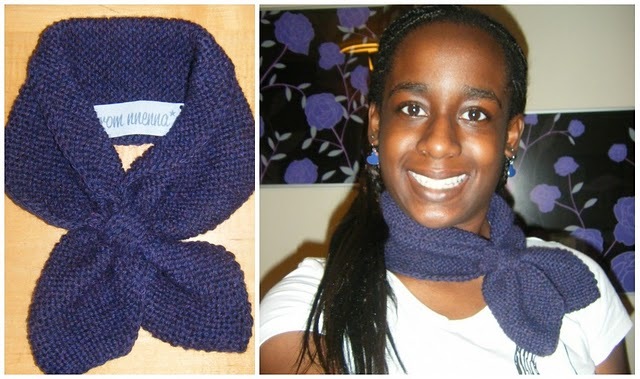 I thought this scarf would make a cute little accessory to jazz up an outfit on a chilly day. 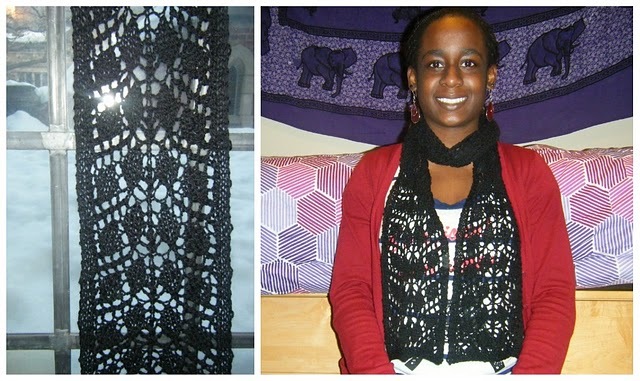 I made this scarf for Nina of Nina Says Hello. I noticed from browsing through Nina’s blog that she seemed to like lace, so I thought she might like this pretty lace leaf pattern. Unfortunately, however, she never received this because it got lost in the mail, so I’m definitely going to make her something new! This beret was for Jamie of Blog Redhead. 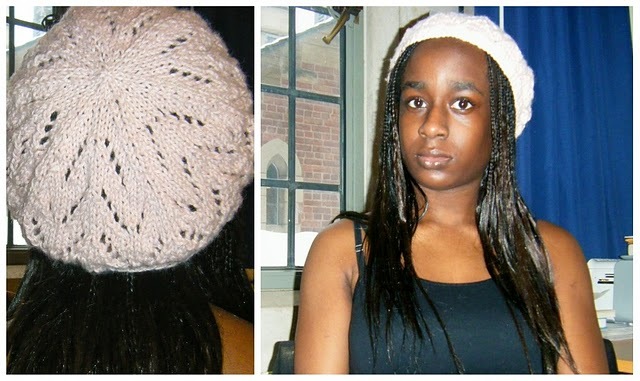 Jamie has such gorgeous hair so I thought this soft pink, fuzzy beret would look great on her! 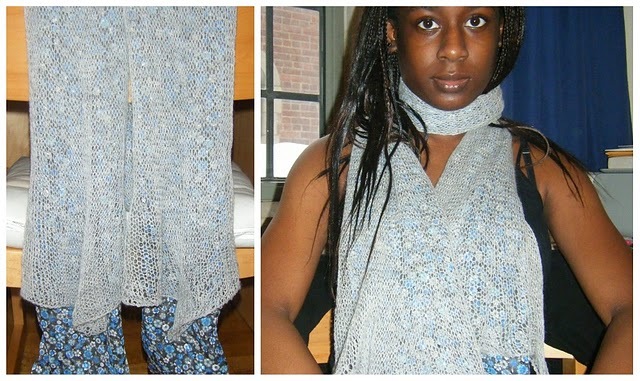 Lastly, I made this scarf for Kathleen of Inspirafashion. I noticed she likes to wear light, airy materials so I thought she might enjoy this lightweight scarf for spring. Tell me: Are any of you participating in the Pay it Forward 2011 Challenge?